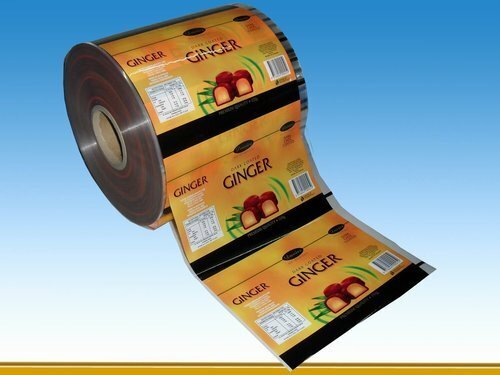 We are offering Laminated Packaging Films to our client and our product is made of good quality. Established in the year 1996, “Mahavir Packaging", Mumbai are one of the trusted business organizations engaged in manufacturing, supplying and trading of Packaging Bags. Our offered products are Shopping Bags, Printed Bags and Carry Bags. Backed by our industry experience of many years and the support of our expert workforce, we have emerged as a trusted business organization. With an aim to maintain the same tradition, we offer best-in-class products to the clients. Apart from these, we are instrumental in offering Paper Bags, Shopping Bags & Garbage Bags. The range is offered in various colors and designs to suit the variegated needs of the clients. We have been able to surpass the competitors in the industry by maintaining a client-centric approach in our business endeavors. The products are customized as per the choices of the clients. Our quality controller test the product range on numerous attributes before it gets delivered. Backing on our wide distribution channel, the products get delivered to the clients within specified time frame. With our dedication and sincerity, we have acquired a rich client base in market.